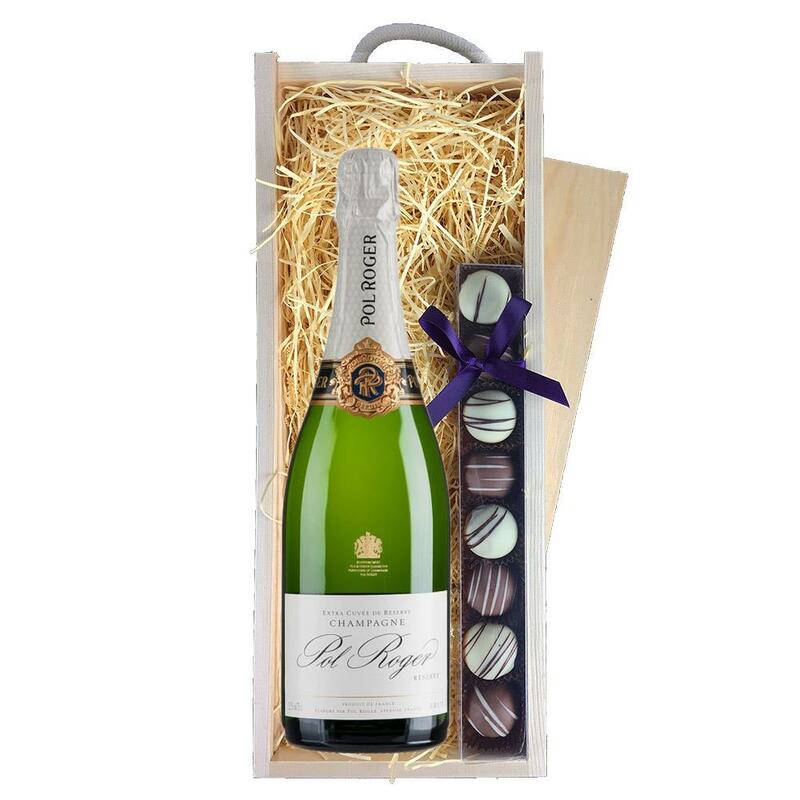 A single bottle of Pol Roger Brut Reserve 75cl 75cl and a single strip of fine Hand Made Truffles(100g) Presented in a wooden gift box with sliding lid and lined with wood wool with a Gift Card for your personal message. The colour is a dense straw yellow in color, with a fine mousse of vigorous activity. The nose opens with beguiling hints of pear and mango, which are repeated with notes of honey-suckle and white jasmine, reinforced with a vanilla hint. In the mouth it is fresh and harmonious in the attack, followed by great power and assertive freshness. Lovely fruity aromas are at the fore in this champagne. It yields very pleasant flavors of apricot quince jelly, intertwined with hints of beeswax, reinforced with notes of acacia honey. A superb marriage of fruits (candy orange zests, mandarine) and spices (cardamom, green anise) that has true gravitas.